In this article, we have compiled all the upcoming positive psychology conferences during 2019 and included those we know about for 2020. If you’re interested in speaking or presenting at any of these, we have also included the official pages for each event. These links will include the guidelines for submissions, symposia, schedules, and more information on the conferences themselves as they become available. If you have no plans to present research or host a workshop, these positive psychology conferences are still very much worth attending. Whether its simply for a chance to interact with other therapists, coaches, or positive psychology enthusiasts, they are often global gatherings of professionals from a diversity of sectors. Here is a brief overview of what you can expect from each of the conferences, and we will continue updating this page as more events are announced. Price: Varies between USD $200 to present an academic webinar and $999 to register as a speaker. Business registrations and packages cost slightly more. Description: This year’s theme is “Psychological and Philosophical pursuit of Happiness and Wellbeing”. Researchers, academics, presenters, and experts will present and discuss the latest in Mindfulness, Stress, Wellbeing, Spirituality, and more. The conference will bring together ideas and perspectives from different disciplines, including social, pure, and applied sciences. Visit the Positive Psychology Conferences 2019 Website here. Description: Held over three days, the World Happiness Summit (WOHASU) unites and connects global experts on wellbeing and happiness. The summit introduces tools for building wellbeing and approaches for managing stress. Coaches, speakers, and positive psychology enthusiasts can network at this weekend event, which centers around “A Holistic Approach to Happiness”. Visit the official webpage here. Description: A one-day conference led by the University of Buckingham Vice-Chancellor and IPEN (International Positive Education Network) President Sir Anthony Seldon. Discussions will center around the important role of wellbeing education and how it can best be implemented in educational settings. Those working with young people such as teachers, pastoral staff, lecturers, and more, will be able to listen to experts talk on wellbeing in education. Everybody interested in education is invited to register. Price: USD $325 for trainee members and $555 for non-faculty members, with more prices available. Description: The Society for Affective Science (SAS) features TED-style talks, a ‘Trajectories, Transitions, and Turning Points’ session, joint sessions, and invited speakers. This year’s Presidential Symposium looks at research into emotion, ethnicity, and culture, with speakers such as Tiffany Brannon, Michele Gelfand, and Jeanne Tsai. Learn more about the SAS Conference here. The conference page can be found here. Date: April 10 – 11, 2019. Description: This symposium marks the 25th birthday of the yearly HealthEmotions Research Institute event. The theme is “Adversity, Resilience, and Psychopathology”, and featured speakers include professors and psychiatrists in the field of affective neuroscience. Price: Full-day registrations begin at $790 for PESA members and students, while 1- and 2-day registrations are also available. Description: The fifth annual PESA national conference takes place in April for participants who want to learn about developments and research in Positive Education. The conference program balances both practical application and theory, allowing practitioners, teachers, educators, parents, researchers, and community to share ideas. Expect workshops, masterclasses, panels, and presentations. Keynote speakers include Sonja Lyubomirsky, Lea Waters, and Lindsay Oades. Description: The International Network on Personal Meaning (INPM) organizes a yearly one-day Spiritual and Cultural Care conference that includes workshops and talks for practitioners. The focus is on Integrative meaning therapy (MT), which combines CBT, positive psychotherapy, and Viktor Frankl’s logotherapy. Students, counselors, health practitioners, psychiatrists, psychologists, physicians, social workers, and providers of spiritual care are all welcome. Description: Continuing on last year’s theme of ‘Connectedness’, the 2019 ResilienceCon is a global event. Academics, students, psychology practitioners, educators, social workers, criminologists, sociologists, as well as those in prevention, public health, or related fields to the above are welcome. Discussions will look at wellbeing, strengths, resilience, and overcoming adversity. Description: The goal of the ICPPW conference is to bring worldwide experts, researchers, and scientists together to discuss Wellbeing and positive psychology. Discussions and presentations will cover areas for future research, innovations, and challenges for implementing positive psychology solutions on top of the trends shaping the field. Description: Business and psychology experts will be able to share ideas on culture wellbeing strategies in organizations to foster the same. Ideas around purpose and meaning in the workplace, employee engagement, fulfillment, health, and happiness in organizations are encouraged. Main stage sessions at the 2019 conference will feature talks from industry and thought leaders, and there will also be workshops. Visit the Positive Business Conference site here. Description: The International Conference on Happiness and Wellbeing (ICHW) creates a forum where practitioners and scientists can discuss ongoing or brand new research developments in the fields of wellbeing, happiness, and quality of life. Keynote speakers include five psychology professors from around the world, who specialize in areas such as Flow, psychotherapy, methodology, and health. Price: AUD $550 for all days (Early Birds) or $570 after the 1st of May. Description: This wellbeing conference takes place in several locations across Australia. The main themes for 2019 are building contextual wellbeing, creating healthier cultures in schools, and developing respectful, safe relationships in school communities. Over 40 presenters will be at each event, and attendees can expect workshops, keynotes, and more. Find out more on the official website here. Description: Once every three years, the SDT takes place to discuss motivation and self-determination. This year’s event will include working sessions, presentations, and experts on Self-Determination Theory, featuring the founders of the concept-Edward Deci and Richard Ryan. The topics include self-determination and intrinsic motivation for teams, organizations and individuals. The SDT 2019 website can be found here. Description: Researchers, engineers, academics, policymakers, and educators are invited to present and share their knowledge on topics such as positive individual traits, clinical psychology, mental and physical health, positive technology, emotion cognitions, positive psychotherapy, stress management skills, coping with loss and pain, and other related issues. Price: TBA – Register your interest on the relevant page to be informed of updates about tickets, or check back with the event closer to the date. Description: Wellbeing at Work Events are where business leaders and HR practitioners can listen to and interact with academics, experts, and others in the field. The latest developments and breakthroughs in wellbeing are presented in a one-day event. Focused on improving organizational and people performance, this is a global event held in many locations throughout the year. Price: A single ticket for one of the locations starts at €300 (Super Early Bird) and goes up to €420. Packages start at €520. Description: The theme for this tour, at which Martin Seligman will be presenting, asks “How relevant is positive psychology for our successful future and our society?” Organized by Seligman Europe, each of the three days will have a different sub-theme. 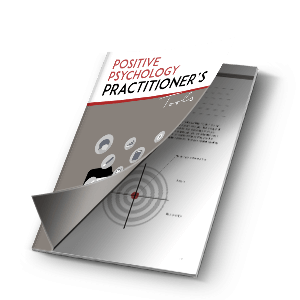 In Graz, this is positive psychology’s contribution to coaching, therapy, and counseling. The second leg of the tour stops in Hamburg, where the key focus of the ‘Human Congress’ is the field’s sociopolitical relevance. Lastly, in Bregenz (and Götzis), the role of positive education and its relationship to positive management and leadership is considered. Find out more here (German). Price: Starts from AUD $895 plus GST for a 2-day Early Bird ticket. Pre- and post-conference tickets are also available. Description: Professor David Cooperrider from Case Western University is delivering a keynote speech at this event, on “Embracing Change In Your Life”. Participants can also expect to learn from Michael Mosely, Professor Elissa Epel, Professor Amit Bernstein, and Dr. Fred Luskin. Topics include life satisfaction, happiness, and the conference is for people, practitioners, and companies with an interest in education, mental health, business, psychology, health care, and more. Description: IMEC is a bi-annual conference about living a life that’s meaningful. “The Personal and Social Power of Meaning” is this year’s theme, with talks on a wide range of multidisciplinary topics. These include forces impacting on meaningful lives, interpretative phenomenological analysis, radical change, purpose and relationships, and more. Interactive workshops and debates will also take place. Find the official event website here. Price: Full conference member registration is now USD $650 for Early Birds. After 14th April, this will become USD $764. The daily rate for non-members is USD $360. Description: Organized by the IPPA, this year’s theme for the Congress is “Nexus”. As a synonym for ‘connection’, the event aims to establish linkage, cooperation, and collaboration between disciplines, people, and science. Expect presentations, workshops, and programs focused on promoting human flourishing. Here is the official website for the IPPA event. Price: USD $300 for early bird students and concessions, ranging up to USD $775 on the day for non-members. Description: Keynote speakers at this yearly International Society for Quality of Life Studies (ISQOSL) event include Michael Marmot, Stefano Bartolini, Martine Durant, and Christian Welzel. The conference theme is “Happiness in a Multicultural World”, and topics will cover well-being, quality of life, happiness, and tolerance. Here is the ISQOLS 2019 site. Description: This event is for sociologists, psychologists, practitioners, and those interested in subjective wellbeing (SWB) as a goal. New insights into the role of socioeconomic characteristics and ascriptive factors structure SWB will be discussed, and debate encouraged. Topics of debate include ‘What liveable society involves’ and ‘How new means of social interaction impact on subjective wellbeing’. The website for the event can be found here. Description: Global peace and emotional education initiatives are the cornerstone of this unique conference. It includes the sharing of ideas for building emotional intelligence and positive psychology in business, organizations, homes, academic institutions, and government organizations for our sustainable future. Speaker papers will be published in a conference journal. The 2018 one-day conference was sold out, with professional attendees from 12 countries, so this year’s conference has been expanded to cover two days. Price: Between €175 students one-day rate and €399 for standard attendance at both days. Description: Topics to be discussed at this event include Appreciative Inquiry, Science of Happiness, Well-being and Success, Flow, Resilience, Quality of Life, and Positive Psychology Coaching. Expect keynote speakers, poster exhibits and presentations, as well as opportunities to network over lunch. The focus is scientific and practical applications of PPIs (positive psychology interventions) at work and in therapy. Description: The theme for this year’s Conference on Positive Psychology, Happiness, Mindfulness, and Wellness Summit is ”Interventions towards Positive Education, Happiness, Wellness, Resilience and Wellbeing”. Symposia, presentations, keynotes, lectures, and many more activities will center on the many themes that come under this banner. Organized by Lexis Conferences, experts from a large range of disciplines such as healthcare, education, manufacturing, and more will be attending. Price: CHF 160 for the conference alone, and CHF 230 for the conference and social event. Description: The University of Applied Sciences and Arts of Southern Switzerland (SUPSI) is organizing this conference. Researchers, teachers and other educators, and practitioners are invited to join in the scientific debate on a new perspective for wellbeing. This sees wellbeing as a required factor for educational goals, as a means of inclusion and equity, and as a key social and individual resource. Posters, symposia, and presentations are welcome for submission. Description: The annual SPSP event is a global meeting of practitioners, academics, psychiatrists, and psychologists in the personality and social psychology fields. The newest empirical and theoretical developments will be discussed, though the precise outline has not yet been released. Visit the SPSP event website. Do you know of any other positive psychology conferences that haven’t been listed above? Catherine Moore has a BSc in Psychology from the University of Melbourne. She enjoys researching and using her HR knowledge to write about Positive and Organizational psychology. When she isn’t getting super ‘psyched’ about her favorite topics of creativity, motivation, engagement, learning, and happiness, she loves to travel. Our organizing Committee is pleased to welcome you to the International Conference on Neurology and Mental Disorders which is to be held on November 27-29, 2018 at Athens, Greece. This event is particularly an Innovatory and stimulating meeting which provides leading-edge information on two subjects, particularly Neuroscience and Mental Health. This platform provides an opportunity to each and every individual to know about the recent advancements in the field of Neuroscience and Psychiatry. It gives a great chance to exchange or share ideas and establishes collaboration amongst the eminent people across the globe and also provided B2B networking. Our Organizing Committee wishes you to take a challenging participation at the event and help to learn and explore extensively in this meeting. This is a wonderful list and very helpful! Thank you. Many thanks for sharing this nice list. The main topic of this upcoming event, 10th Biennal International Meaning Conference which is being held in between August 2-5, 2018 in Vancouver, Canada, is Courage, Faith, and Meaning: Existential Positive Psychology’s Response to Adversity. Invited speakers include: Veronika Huta, Roger Tweed, Piers Worth, Pninit Russo-Netzer, Dmitry Leontiev, Julia Yang, Eileen Dowse, Laura Atwood, Yannick Jacob, Gordon Carkner, Claude-Helene Mayer, Seph Fontane Pennock, Kathy Story, and Solomon Makola. This inaugural International Education Conference organised by Singapore Management University and Principals Academy brings you strategies from thought leaders and educators from top performing schools in the world, such as Westminster School (United Kingdom) and African Leadership Academy (South Africa) on how to develop agile and adaptable youth in this technological era. Beyond the taught curriculum, it also explores and celebrates positivity, resilience and empathy that all effective schools must promote to ensure that our students are able to thrive in a complex and volatile world. Check out Link for more information! Hi! I am very excited to share about International Conference & Expo on Clinical Psychology which is held during October 18-20, 2018 at Amsterdam, Netherlands. Thank you for updated this important even list of conferences on Psychology. please notify me on the dates for 2019’s Positive Psychology Conferences. Hi! I am very excited for Africa Positive Psychology Conference. I would like to know where to apply for the conference because I don’t want to miss it.